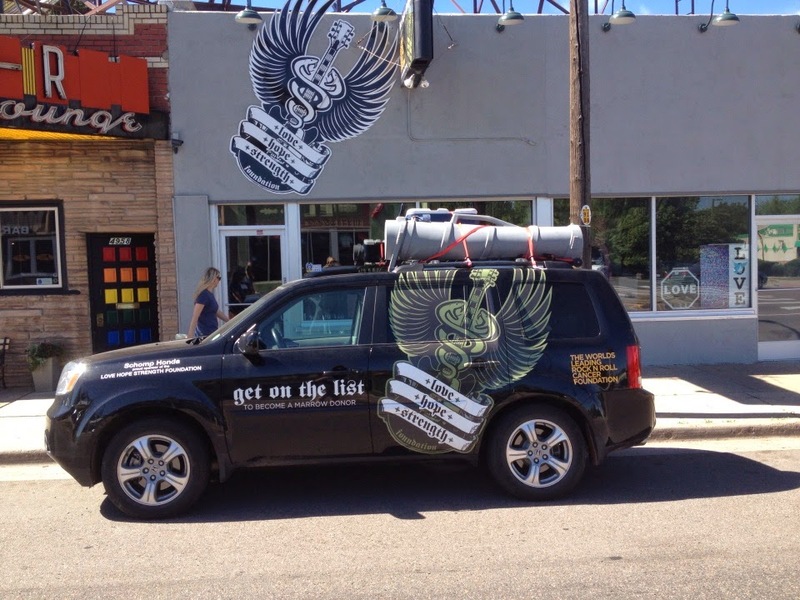 Colfax Avenue: Love, Hope, Strength: Get on the List! Through our partnership with Delete Blood Cancer, LHS frequently spearheads bone marrow drives at concerts and major musical events like Lollapalooza, Bonnaroo and Austin City Limits. LHS has added thousands of people to the national marrow database and found hundreds of matches for patients in need of bone marrow transplants. Headquartered at 4956 Colfax Avenue in Denver, LHS now has chapters in the United Kingdom, Mexico and Australia. Purchased the first mammography machine for the country of Nepal. Purchased the first brachytherapy (internal radiation) machine for the country of Nepal. Funded a new wing for a cancer care center in Wales. Purchased a transport vehicle for a children’s cancer center in New Jersey. Conducted thousands of bone marrow drives at venues such as; The Pepsi Center and Red Rocks Amphitheater, festivals such; as Lollapalooza, Bonnaroo, Lollapalooza, and Austin City Limits and on tour with artists such as; Robert Plant, Kenny Chesney, Enrique Iglesias, Big Country, Squeeze, O.A.R. and more. Added over 60,000 people to international marrow databases through our partnership with Delete Blood Cancer. Located over 900 matches for patients in need of bone marrow transplants. Brought supplies to cancer centers in need around the world. Hosted the first saliva-based bone marrow registration drive at a concert in UK. Funded the making of Everest Rocks, a documentary on cancer survivorship aired on Palladia and NBC’s Universal Sports. Funded a Public Service Announcement on the need for bone marrow donors. Funded the construction of the first dedicated children’s cancer center in Tanzania which opened in February of 2011. Funded More To Live For, an award winning documentary about 3 men in need of marrow transplants. Get involved today! Visit their website lovehopestrength.org.